Dirak is commonly known as Leading Metal Hinges suppliers in India. Dirak Factory and Office are located in Bangalore, India. Dirak supply Premium metal Hinges to across various cities of India. Dirak is a leading and Largest metal Hinges suppliers in India exporting international quality hinges to various places in India. Dirak is commonly known for quality products. With Dirak ability to design quality products for our customers, why not contact us to see how we can help you. 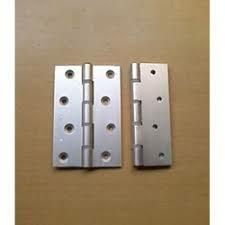 And We are leading Silver Plated Hinges manufacturers in Bangalore/India. We offer various range of best quality Silver Plated and metal door hinges. Dirak is a benchmark of quality that is aspired by all. We offer various types of metal hinges like Concealed Hinges, 180 Degree Hinges, Door Hinges, Industrial Hinges, Lift-Off Hinges, Torque Hinges, Control Panel Hinges, Cabinet Door Hinges, Panel Hinges, etc. Metal Hinges suppliers in India is one of the best-rated companies in the field of door Locks in a wide variety all over the market.